This three-day workshop provides specialized training for equestrians who are interested in equine facilitated mental health and education programs. This workshop is not designed to train educators or mental health professionals how to perform their role in equine facilitated learning or psychotherapy. However, it can be beneficial to professionals wanting to learn more about how this type of program works. Breakfasts and lunches will be included for all participants. Workshop will run approximately 8AM-5PM the 126th-29th and testing slots will be scheduled for Sunday in 30 minute increments. 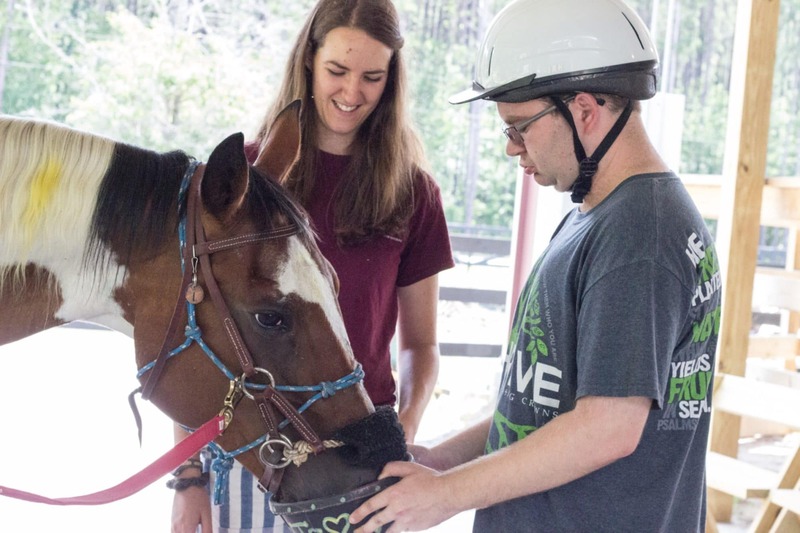 This workshop will be taught by some of the most experienced people in the field of equine facilitated mental health and learning and will give the participants a chance to see what is current in the field. Each course will be team taught by an Equine Specialist/PATH Intl. Certified Therapeutic Riding Instructor in collaboration with a mental health professional working with several equines. Be at least 21 years of age with a high school diploma or GED with a demonstration of continued learning. Fill out forms below and return to programs.fetc@gmail.com or mail in with check (see below). Pay below using our paypal button with the option of your choice or mail a check to 243 Appaloosa Way, Guyton, Ga. 31312. Stay tuned for more information! If for some reason you must cancel, we will refund the amount you paid, minus a $75 administration fee to cover our costs. Deadline for payment is August 23rd. If you cancel after that, payment is not refundable.